I first became involved with the Peer Mentoring Scheme in August 2011. I was assessed by a lady called Shirley who was accompanied by another lady called Sharon. I was a bit apprehensive at first about discussing my previous addictions because I thought I would be frowned upon but how wrong I was! They both told me of their own experiences and this made me feel much more at ease. I gradually began to feel as though I wouldn’t be judged if I spoke to them. I also hoped that they could help me to get out of the rut that I found myself in. Once I registered with the scheme I was offered training courses and voluntary opportunities. The scheme, to my delight, is delivered by many people who have had their own addiction problems. To me this is fantastic as everyone involved understands what you’re going through and how hard it is to get back on track after addiction problems. I was absolutely at my wits end when I went to CAIS. I had no future, no motivation, no goals in life and no plans. I was just an existing empty shell lying on the couch mentally and physically wasting away. My first training course was on the 19th of September 2011. I made sure that I went on every course available and I also started shadowing Shirley, my Peer Mentor, whilst I was still training. My confidence was growing and growing, by now I was starting to feel accepted again. 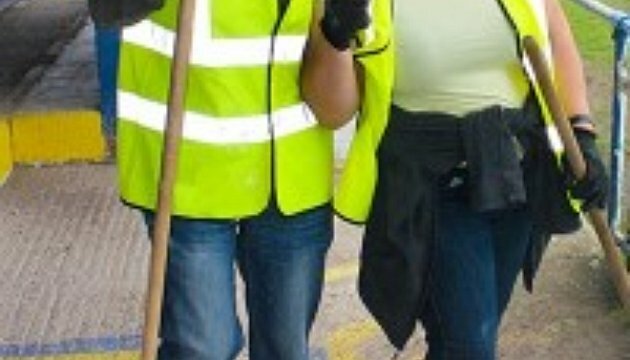 I also participated on the numerous volunteering events that the scheme ran. These volunteering events are fantastic as not only are we giving something back to the community but we are keeping our minds busy. We’re only human who happened to take the wrong route in life; we desperately want to fit back into society. Getting together on these volunteering days is great for our recovery as we meet like minded individuals and share experiences. We learn from each other’s experiences and share what to do and what not to do when we’re feeling vulnerable. Being with people the same as you makes the recovery journey so much easier as you know you’re not alone and that nobody is looking down on you. This year I won a highly commended award for all that I have achieved. I even landed myself a place at Bangor University to study for a B.A (Hons) in Psychological Studies in Substance Use, how good is that!? I’ve managed to totally turn my life around in just one year! There is no doubt in my mind that this is due to the help and support from my Peer Mentors. Thank you to all involved with the Peer Mentoring Scheme! I don’t count the days anymore, I make the days count.